Display top running processes in CLI terminal Linux - As always, command line is It's simple, flexible, and powerful. Using command line via terminal is good deal to save your time. So you can use your time to learn new things. 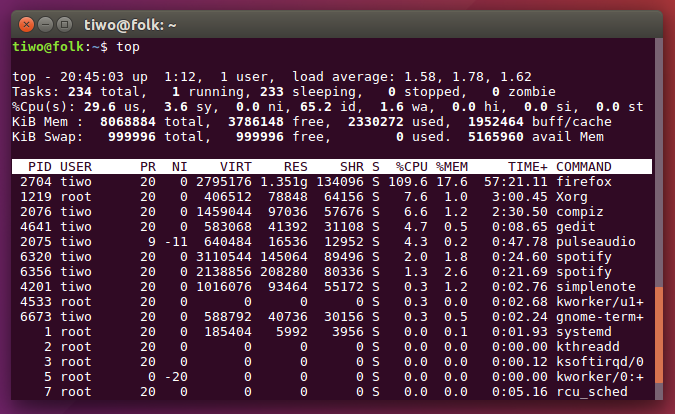 For that reason, today I will show you quick Linux tips how to find processes are consuming lots of Memory and CPU utilization in Linux via terminal. The top program provides a dynamic real-time view of a running system. It can display system summary information as well as a list of processes or threads currently being managed by the Linux kernel. The types of system summary information shown and the types, order and size of information displayed for processes are all user configurable and that configuration can be made persis‐ tent across restarts. 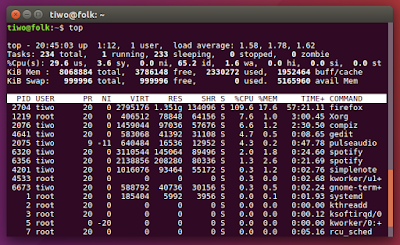 These were all how to listing top running processes in Linux by highest memory and CPU usage using top. Thanks for visiting us!